As shows of this nature do it dealt with tracking killers and robbers with a recap of the justice which was enforced. The writer and director was William N. Robson. Calling All Cars episodes were dramatized true crime stories that were not only introduced by officers of the Los Angeles Police Department but were true life crime stories of the LAPD. If you are thinking early version of Dragnet, yes, but not quite as polished. Dragnet was believed to have been inspired by Calling All Cars. None of the actors on the show ever received on-air credit, but among the talent OTR fans can hear the likes of Elvia Allman, Jackson Beck, Charles Bickford, John Gibson, Richard LeGrand and Hanley Stafford, just to name a few. THIS EPISODE: November 26, 1936. Program #157. CBS Pacific net (Don Lee network). 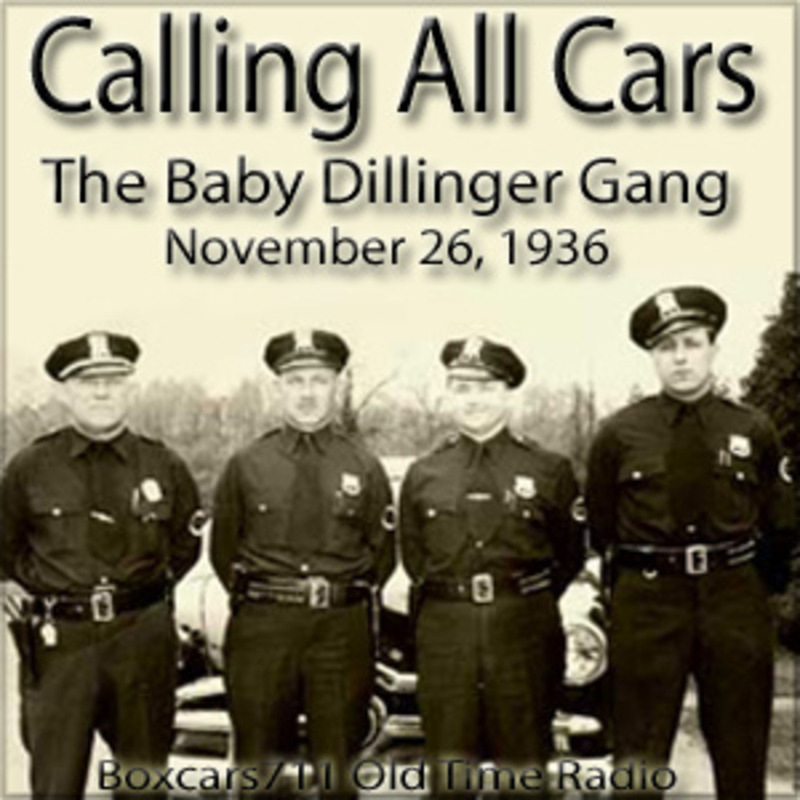 "The Baby Dillinger Gang". Sponsored by: Rio Grande Oil. Two boys are escaping in a car. They are armed and holding up gas stations. Jesse Rosenquist (dispatcher), James E. Davis (host, Chief of the Los Angeles Police Department), Charles Frederick Lindsley (narrator). 29:25. Episode Notes From The Radio Gold Index.